While most people remember to plan and diarise other major events in their lives, only a few attempt to put their retirement in order. Unfortunately, financial planning is crucial if you want to enjoy your stay at home despite having no source of income. Failure to plan could lead to serious money complications. Be on the safe side and start early so as to have ample time to put your account in order. After all, you do not want to go to an early grave because of financial stress. Therefore, here are some top tips to consider when making decisions as you transit from employment to retirement. Apart from the usual budgeting talk, you need to pay off your debts as soon as possible, preferably before you retire. Clearing your debts using your savings when you don’t have any income source is one of the worst mistakes you’ll ever make. Start by adding up the amount of money you owe in debts, then calculate the debt with the highest rates and pay them off first. Do this on the next set of debts till you pay off all your debts. Remember, taking large sums of money from your tax-free retirement cash, especially if you belong to a defined benefit group such as salary-related pension scheme, can be very expensive. Therefore, ensure you do not owe anyone money if you want to enjoy your pension in peace. Do not take risks with the pension money you’ve been saving as this will be the main financial support once you retire. Typically, some or all of your savings could be invested in funds. As you draw near to your retirement day, it is wise to gradually move this money to a lower risk investment so as to spread and reduce the risks involved. Good news is, some pension firms do this automatically and if yours is one of them. However, a majority do not, therefore, you need to do some thorough follow-up if you don’t want to lose your money through some high-risk investment. On the other hand, avoiding risk altogether is also dangerous since most high-risk investments have a greater probability of greater returns. Try to consider all the investment options and find a balance to manage the risk. The key to a comfortable retirement is discipline. You need to have the discipline to start saving early enough while still working. Remember, saving will create funds for investments when you retire, eventually translating to a retirement loaded with vacations. Avoid spending most of your current income on an affluent lifestyle. Rather, be disciplined enough to ensure your lifestyle lags behind your income as you create a foundation for the future. 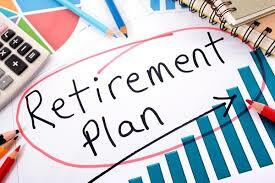 Additionally, use a financial planner to help you stay focused and come up with a plan that will best work for you. After all, a planner has the expertise and time to oversee all your investments and evaluate them to ensure they bring back high returns. In conclusion, think about your retirement before you reach there. It is better to be planned than to lack money to pay bills. Remember, a comfortable retirement will eventually translate to good health and graceful aging. Therefore, think hard and plan smart about it.